Sleep apnea is a type of problem that can sneak up on you. In fact, many cases of sleep apnea are currently undiagnosed. Undiagnosed sleep apnea can potentially lead to many health issues, including high blood pressure, heart attack, and stroke. 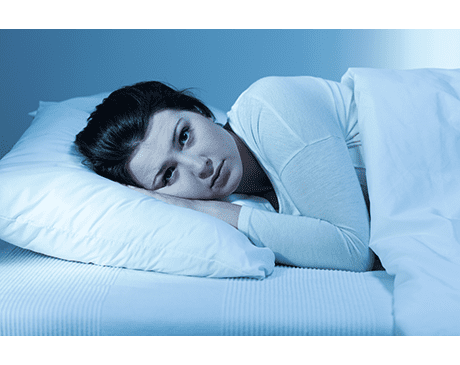 Patients who have symptoms of sleep apnea can undergo testing and get effective treatment from Dr. Foad Farhoumand and Dr. Farah Farhoumand at Farhoumand Dentistry in Vienna, Virginia. Contact their team online or by phone today if you think you have sleep apnea. The symptoms that happen while asleep, including snoring and gasping for air, are often noticed by a spouse or someone else first. Many sleep apnea sufferers have no idea they have these symptoms until their spouse tells them about it. What are the sleep apnea risk factors? Although anyone can have sleep apnea, it appears to be most common among specific groups. The following things can increase your risk for sleep apnea. What happens if sleep apnea isn't treated? If you have some or all of the sleep apnea symptoms listed above, Dr. Foad and Dr. Farah may recommend a sleep study. Farhoumand Dentistry works with the American Sleep Medicine clinic in Vienna, Virginia to diagnose sleep apnea. If you have sleep apnea, Dr. Foad and Dr. Farah can treat you using effective nonsurgical solutions. Dr. Foad and Dr. Farah prescribe intraoral appliances for sleep apnea patients. TAP® oral appliances hold your jaw, throat, and tongue in place to prevent airway collapse while you sleep. Dr. Foad and Dr. Farah custom-fit oral appliances for each patient to ensure that the devices are comfortable and easy to use. Most patients who suffer from sleep apnea use oral appliances quite successfully, and it's rare for a patient to require surgery for sleep apnea. Sleep apnea is not only serious, but it's potentially deadly. If you recognize any of the sleep apnea symptoms, contact Farhoumand Dentistry online or by phone today.